Your ‘Irish Eyes’ are smiling ! For those researching with ancestors from the Isle of Ireland; whether the Republic of Ireland or Northern Ireland (part of the United Kingdom), there is an online site able to offer some direction in your quest. 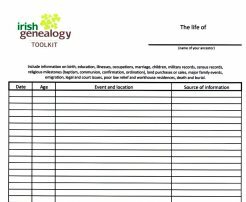 Using ‘Irish Genealogy Toolbox‘ web site, free advice and resources are offered to those seeking the ancestors from Ireland. View the listing on the far left side, which has charts, templates, census records, Irish Societies, property, emigration, along with civil registration records to assistant in finding your relatives. One important bit of information is on Irish names, which can be a difficult because of the Irish language (Gaelic). Even information is provided about the most popular given names used in Ireland in the 1860s. For girls it was Mary, Margaret and Catherine and for boys it was John, Patrick and James. 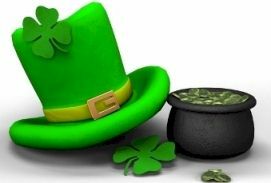 Who doesn’t have Irish ancestry without at least 4 of those 6 names on the family tree? The site has a good deal of information on Irish Civil Registrations (vital records from 1840s) which are very important in your research. It can you decide which resource best suits your needs and provides a link to those registrations. Those with ancestors from Northern Ireland, there is General Register Office of Northern Ireland (GRONI) which has launched an online search site. This can be of great assistance. 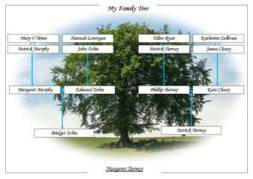 Various charts and family tree templates for your Irish heritage can be very helpful to get your organized. Lastly, nothing like some traditional Irish food recipes. Look on the index list to the left and there are ‘recipes’ also. Claire, the creator of ‘Irish Genealogy Toolbox‘ has tried to think of everything a searchers of Irish ancestors would be interested in. Examine the site and see what can assist you.